Perched on an exam table at the doctor's office watching the clinician type details about their medical problems into their file, what patient hasn't wondered exactly what the doctor is writing? As many as 50 million patients may have a chance to find out in the next few years, following the announcement this week of $10 million in new grants to expand the OpenNotes project, which works with medical providers to expand patient access to clinician notes. OpenNotes started in 2010 as a research project to examine what would happen if patients had easy access to their doctor's visit notes, which may include a summary of their conversation, the symptoms patients describe and their doctor's findings from a physical exam. Although patients have a legal right to their medical records, getting those documents is often difficult and expensive. 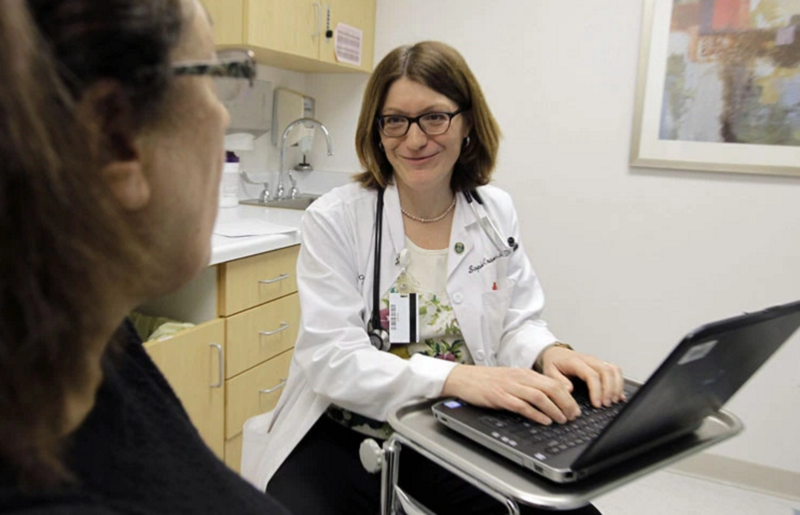 In that experiment, 100 primary care doctors volunteered to open up their notes to 20,000 of their patients at three medical institutions: Beth Israel Deaconess Medical Center in Boston, Harborview Medical Center in Seattle and Geisinger Health System in Pennsylvania and New Jersey. At the end of a year, according to survey results published in the Annals of Internal Medicine, more than 90 percent of patients said they thought open visit notes were a good idea. More than two-thirds of physicians who participated in the program agreed, though more than half said they thought opening up their notes to their patients would cause them more worry. Since then, the project has expanded to other institutions and medical specialties and to more than 5 million patients. The grants, by Cambia Health Foundation, the Gordon and Betty Moore Foundation, Peterson Center on Healthcare and the Robert Wood Johnson Foundation, will enable OpenNotes to expand as much as tenfold over the next three years. "Our goal is basically to make fully transparent medical records the standard of care across the country," says Dr. Tom Delbanco, OpenNotes co-founder, who is a primary care doctor at Beth Israel Deaconess and a professor of medicine at Harvard University. The project works with providers, patient groups and electronic health record vendors, among others, to encourage the use of OpenNotes, and evaluates the impact of OpenNotes on health outcomes and costs. In addition to improving communication between patients and their providers, some research suggests OpenNotes may improve patients' ability to stick with their medication regimens, called medication adherence. A study published this fall in the Journal of Medical Internet Research found that 80 percent of primary care patients at Geisinger Health System who participated in OpenNotes took their blood pressure medication as prescribed compared with 75 percent of patients who didn't have access to their doctor's notes. There was no difference, however, in patients' adherence to cholesterol lowering drugs. Despite participants' general enthusiasm for the project, it's not a slam dunk for doctors, says Delbanco. Institutions vary in how they implement it. Some make clinician participation voluntary while others mandate it. But every time they introduce the program to a new institution, "we can almost predict that there will be one group that will be recalcitrant," Delbanco says, whether it's the urologists or the oncologists, primary care physicians or another group. Patients generally love the program straight off, but with doctors, Delbanco says, "It's a little bit like oysters, an acquired taste."